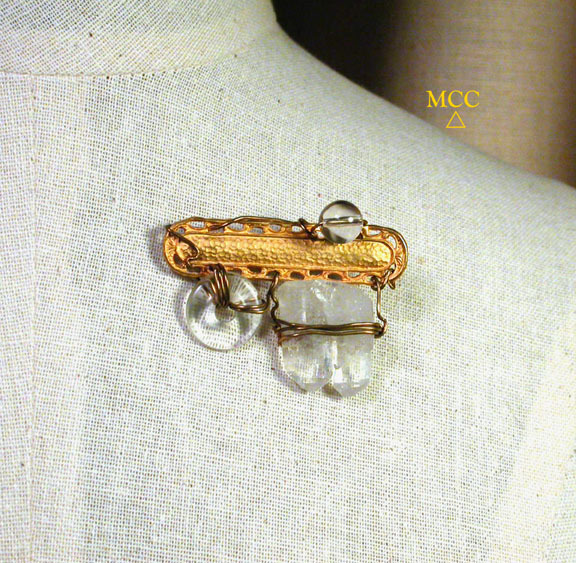 Here is the EUREKA brooch - a showy 2-1/2" wide of 18k textured goldplate. With jewellers' brass threaded by hand, we've embroidered on a natural Arkansas tabular twin rainbow rock crystal, a rock crystal disc, and a crystal clear quartz crystal bead. 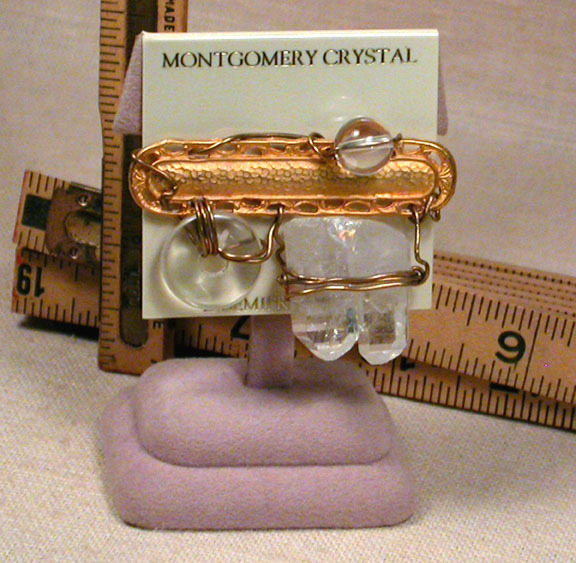 A modern wearable sculpture, for you to pin on all your favorite outfits! Sent gift boxed with handwritten description on the reverse our enclosure card. Shipping will be added.